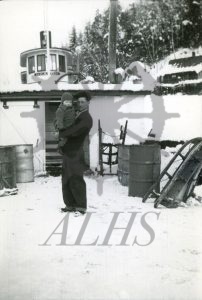 Jack Masson and his infant son posing on wharf in winter, Beaton, ca. 1920s-1930s. SS Beaton where Masson worked as an engineer is in background.